It’s that time of year where we visit our other home and relative. 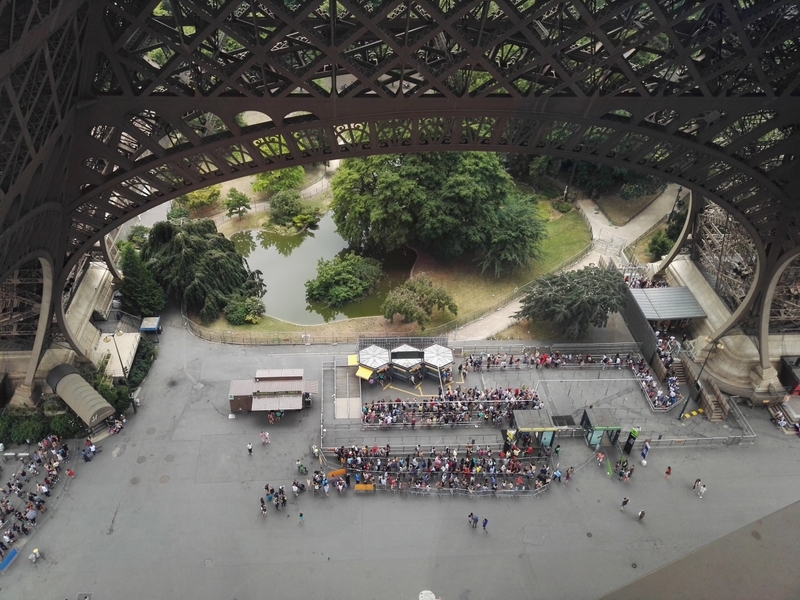 It’s the first time that we made the climb up the Eiffel Tower. It was a scary and breath taking. We love the history around this world-renowned landmark. If you come around this way, have a hearty breakfast and do the climb. You’ll appreciate the view more for having made the journey. In a way, that’s kind of a philosophy for life. Senior IT stakeholders of local Thai enterprises, Government organizations, telecommunication companies, and Internet of Things (IoT) solution providers will gather in Bangkok this July for the 13th edition of Asia IoT Business Platform (AIBP). Endorsed by Thailand’s Ministry of Digital Economy and Society, the event will focus on the Thailand 4.0 initiative and it will shed light on the challenges that Thai enterprises and public service organizations face in adopting and deploying IoT projects, as well as the latest developments in Thailand’s IoT and ICT industry. 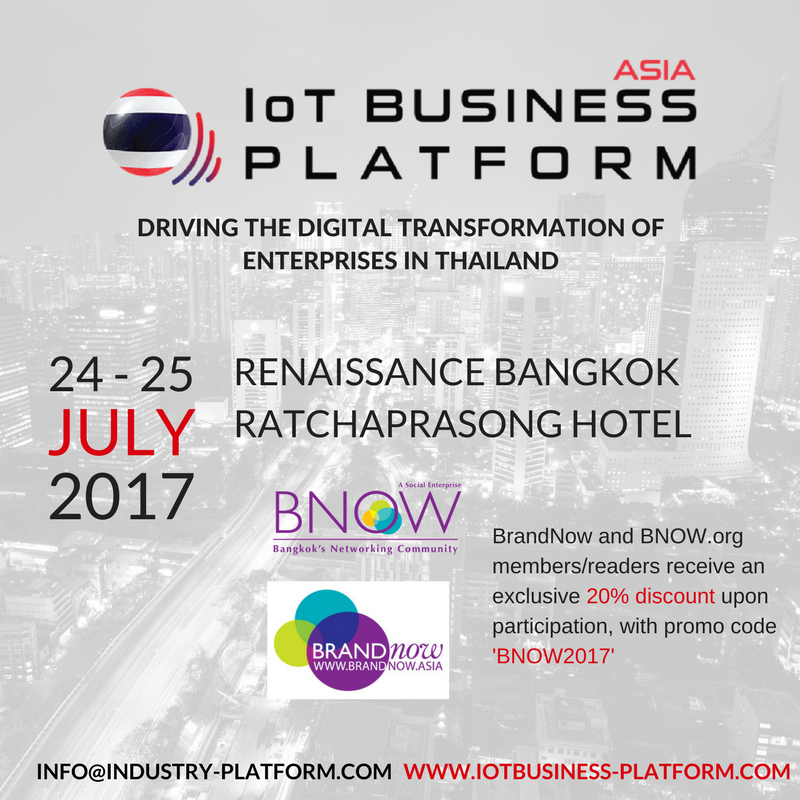 The two-day event will be held on 24 – 25 July 2017 at Renaissance Bangkok Ratchaprasong Hotel where more than 300 attendees will gain access to the latest updates of Internet of Things (IoT) information, knowledge-building discussions, and strategic business connections in the region. CanCham Exclusive Charity Movie Night "Dunkirk"
Entrance fee includes movie ticket, FREE FLOW canape, wine and Canadian beer. Part of the proceeds will go to CanCham charity efforts. CanCham Thailand in collaboration with the British and Irish Chamber of Commerce in Thailand proudly present “CanCham’s Exclusive Charity Movie Night,” featuring a pre-screening of the World War II drama “Dunkirk”, the latest installment from acclaimed writer-director Christopher Nolan. Enjoy delicious canapes, free flow wine and Canadian beer at Thailand’s most exclusive movie theater, Embassy Diplomat Screens by AIS. LIMITED SEATS - reserve your tickets online now! Proceeds from this event will be put towards CanCham’s continuous charity efforts. Game Theory: Finite and Infinite game...which one are you playing? Check out this video that I made last Friday and shared on social media.